Well child care services at Optimal Health Care Center are focused on helping children stay healthy and avoid illnesses as they get older. 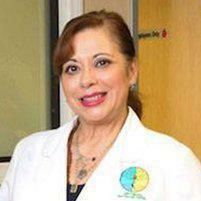 Dr. Martha E. Rivera is a top provider of well care for children and teens, helping patients from throughout the Los Angeles, CA, area enjoy optimal health and wellness. Well-child care includes any visit that occurs when the child is not ill, such as preventive care visits and annual or sports physicals. Well-child care is focused on providing children and their parents with the tools, information and education they need to enjoy optimal health and wellness throughout the childhood years, from infancy through adolescence and the teen years. What Happens During a Well Child Care Visit? Well-child visits begin with a complete medical history and a review of any current concerns. Weight, height and blood pressure are measured and recorded and compared with standard data and personal growth history records to ensure the child’s growth is on track. The doctor will listen to the heart and lungs using a stethoscope and gently palpate the belly area and the neck region to check for areas of tenderness or swelling. Reflexes may be evaluated and a visual examination of the genitalia may also be performed. The throat, ears, and eyes will also be evaluated. Finally, recommendations will be made for additional testing or evaluations as needed or for immunizations to help keep the child healthy. At the end of the visit, the doctor will provide lifestyle guidance based on the child’s age and other factors to help the child enjoy optimal health and development. How Often Should My Child Have a Physical Exam? Just like adults, children should have physical exams once each year to keep track of their growth and development, identify problems as early as possible and receive preventive care and education based on their age and other factors so they can stay healthy. My Child Had a Physical in School. Do I Still Need to Schedule an Annual Physical With the Pediatrician? Absolutely. In-school physicals can play an important role in screening for certain problem like hearing problems, vision issues or scoliosis, a curvature of the spine, but they’re not intended to obtain in-depth information about a child’s health that could have a serious impact on their growth, development or wellness. In-office annual pediatric exams are far more comprehensive and tailored to the child’s specific needs to ensure they receive optimized care at every age.